WORSHIPING, PRAISING AND SERVING OUR SAVIOR IN THE SPIRIT OF EXCELLENCE. For more than fifty years New Liberty Apostolic Faith Church has been a Saving Station for Souls through the Precious Name of our Lord and Savior, Jesus Christ. A Pentecostal, Apostolic Community of the redeemed, New Liberty Apostolic Faith Church is dedicated to upholding the Standard of Holiness. Under the leadership of Pastor J.O. Rasul, New Liberty Apostolic Faith Church embraces outreach and commits itself to serving the least loved and reaching out with Love and Kindness to those in desperate need. Our ministries include; Partnership with Gleaners Community Foodbank, homeless outreach, Thanksgiving and Christmas ministries for the needy, displaced persons and more. Connect with us about Outreach Ministries, Partnership Opportunities and Donations. 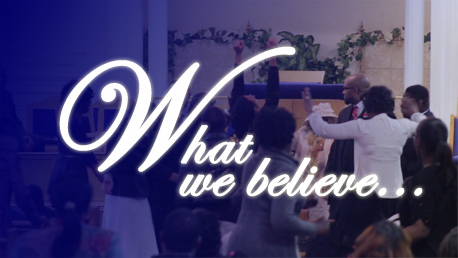 Copyright © 2016 New Liberty Apostolic Faith Church. All Rights Reserved.